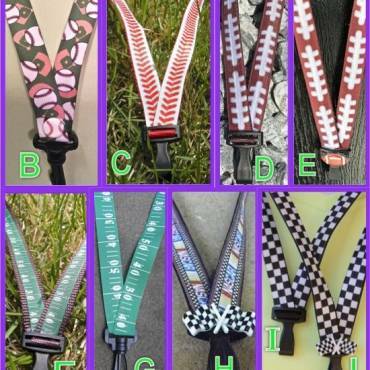 Having worked in a medical environment for the last 30 years, I want the Lanyards I create to be able to be worn in all areas of a hospital, but that’s not the only reason I went metal free. Metal has a huge impact on the environment and as sturdy and durable as Lanyards and Keyring holders are, nothing lasts forever. I wanted to produce a product that allows you to showcase your individual personality but also be environmentally aware. I am always looking at new glues and materials that are being developed and brought to market so that I can keep incorporating them into the designs for safety and durability. 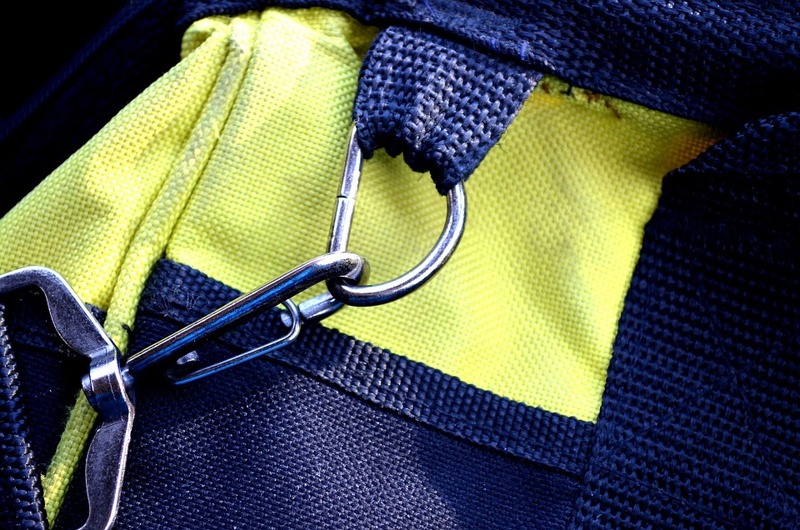 Only plastic safety break-away clasps are used on the lanyards ensuring that if there is a need, the Lanyard will detach quickly as a safety feature. 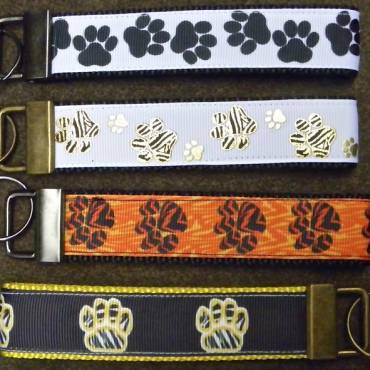 Without the addition of metal in the lanyards, they are also much lighter to wear, and it also means that you don’t have to take them off every time you leave and enter different buildings. do the same, and not just those in the medical profession. Awareness Lanyards and wristlets are a great addition if you’re running a marathon, doing a midnight walk or taking part in any other type of fundraising event to support an illness that has affected you or a close family member or friend. 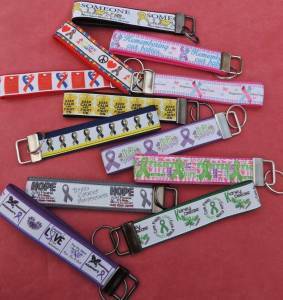 If you’re not athletic, then you can still raise awareness with Awareness Ribbon KeyChain FOBs. They are a really neat way to demonstrate your support for your chosen cause whether you’re in the supermarket, at work or just visiting friends. What causes are you creating awareness about? Some of the other causes already available in the range include, but are definitely not limited to, Alzheimer’s, Autism Awareness, Down’s Syndrome and Epilepsy. I would be more than happy to work with you to produce a stylish and elegant product to support and promote any of your individual projects or Charites. The range of lanyard ID holders, retractable badge holders, lanyard badge holders, and ID badge lanyards can act as a great conversation starter or just ensure that when someone sees it creates added awareness that might not have been there before. 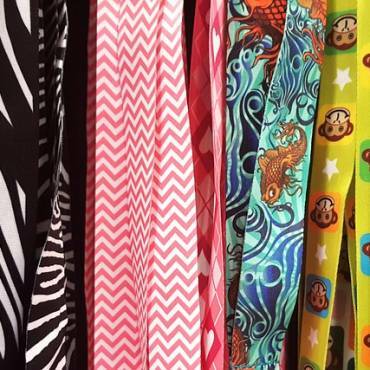 There are a different variety of materials available to choose from including ribbon, or rope styles and all necklace lanyards are 100% metal free and handmade in Georgia! They can be bright and colorful, so they stand out from the crowd or subtler and in darker colors, but either way if you want to raise awareness, these products are perfect for the job. Why not get in touch by e-mail and let me know how I can best help you with your unique design requirements.